If you're looking for a solid and attractive lazy kate to hold your bobbins while plying this one may be just what you need. 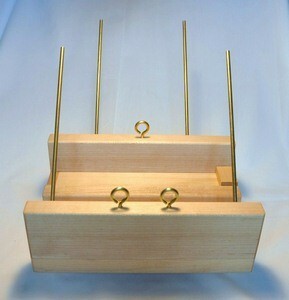 removable solid brass rods which won't rust or corrode and large, smooth eyes to corral your singles and prevent tangling. 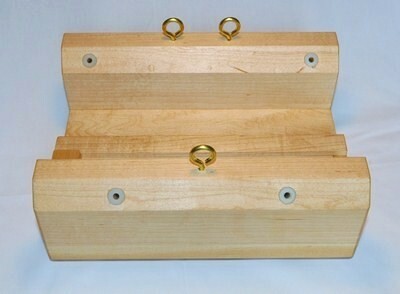 nylon inserts to hold the rods - holes in wood alone will deform and enlarge over time. 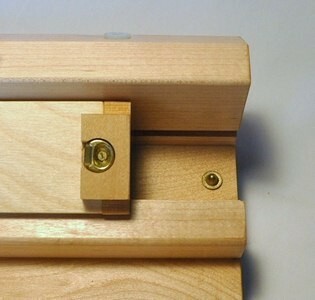 Also, the inserts stand up above the wood a tiny bit preventing bobbins from wearing or staining the wood. 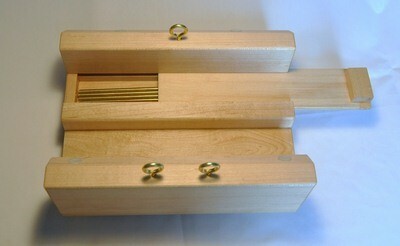 cubby for rod storage featuring a snap catch to keep the sliding lid securely closed. Important when travelling! 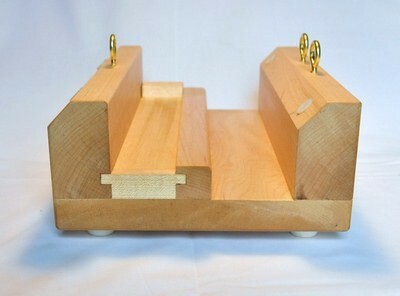 four non-skid feet for added stability. Won't mar your furniture AND will keep your kate safe from tabletop spills, damp pavement or other untidy surfaces. 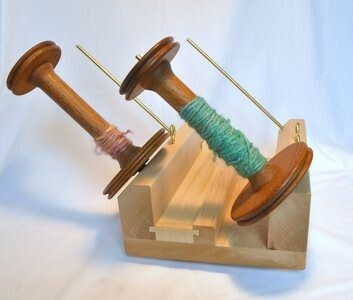 solid hard woods impart weight to keep your kate from tipping even when holding very full bobbins. weight - 4.25 lbs, height to top of guide eyes -5 inches (not including rods), depth from front to back - 7.5 inches, length side to side - 10 inches. 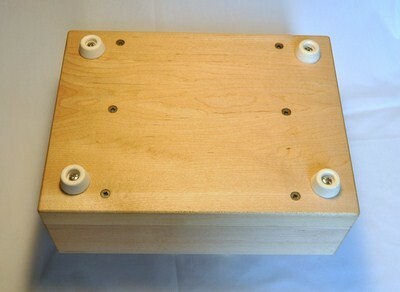 We can make custom kates to fit larger bobbins! Here is a well built lazy kate that's also pleasing to the eye and hand. 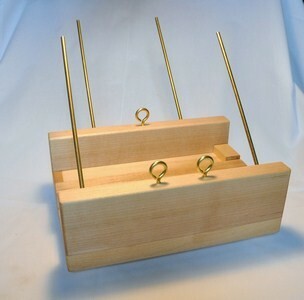 Whether at home or while travelling this no-fuss kate will serve your plying needs without complaint or hassle. Note: Shipment outside the US will likely cost more than the fee this website will automatically charge. Please contact us prior to purchase for exact cost.